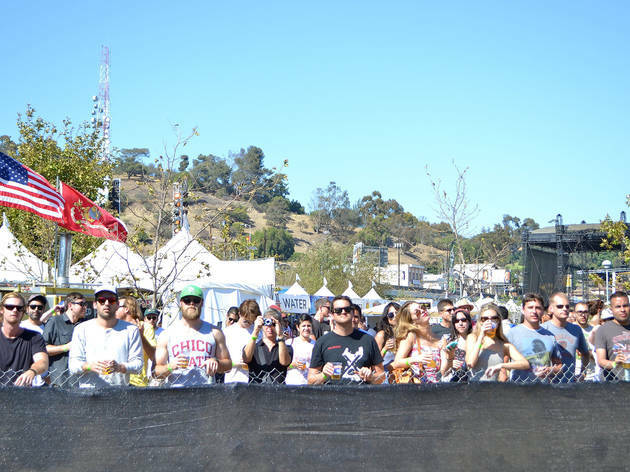 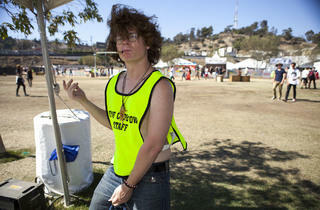 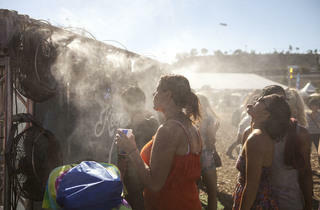 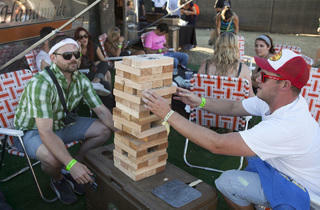 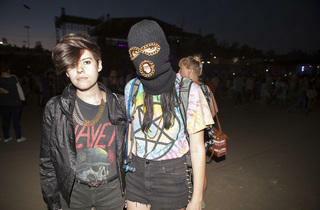 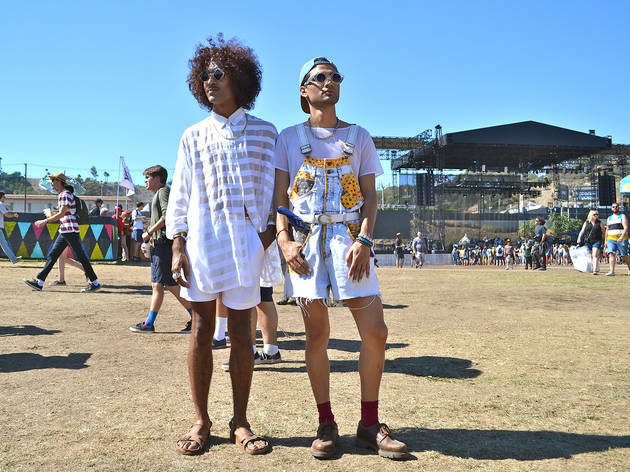 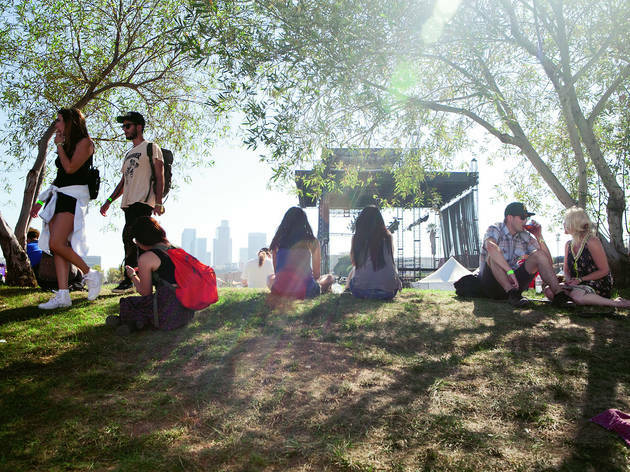 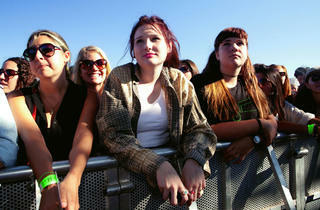 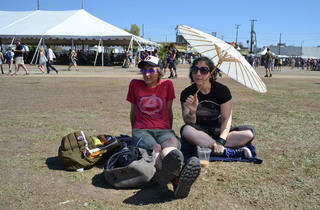 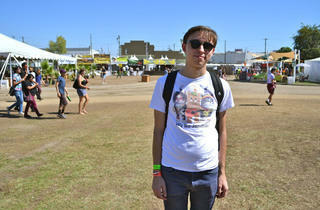 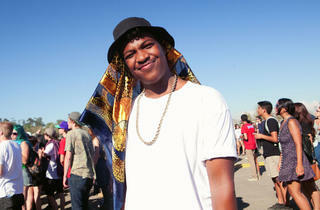 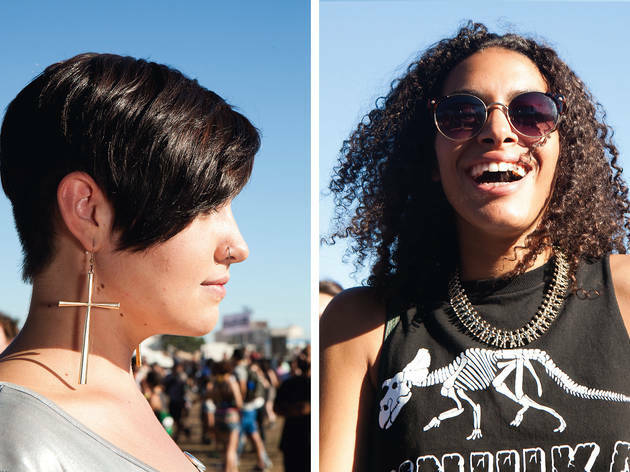 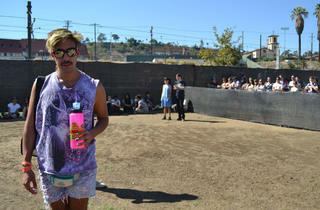 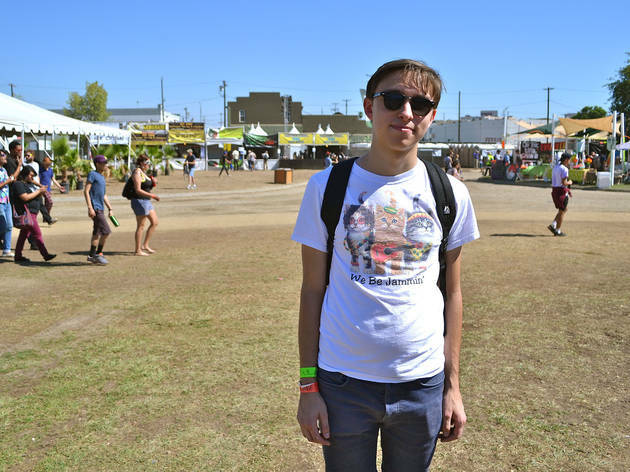 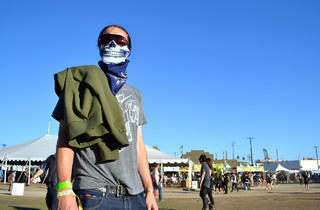 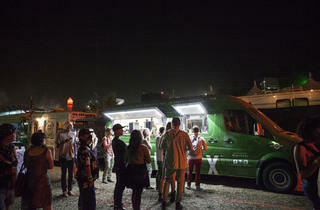 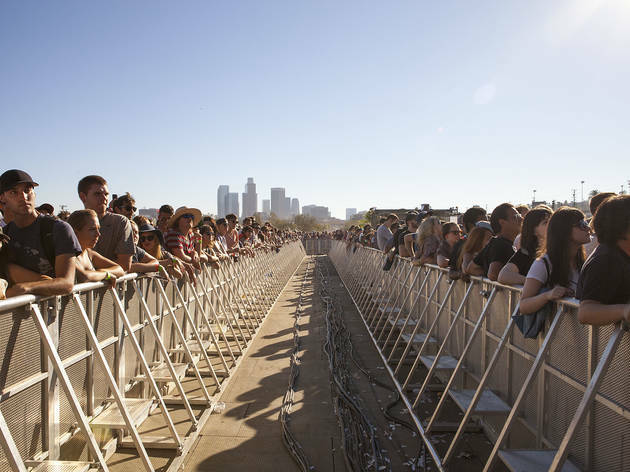 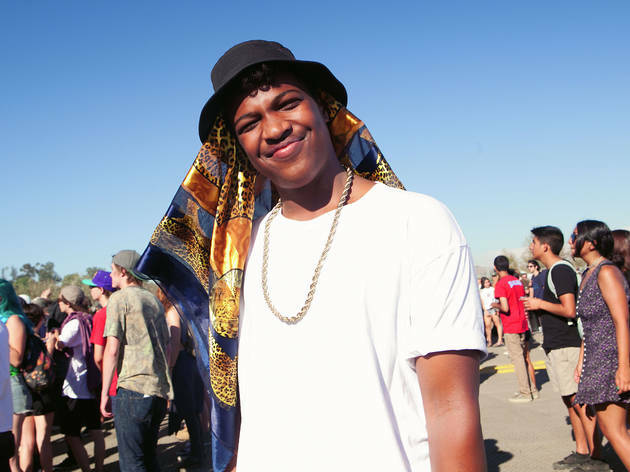 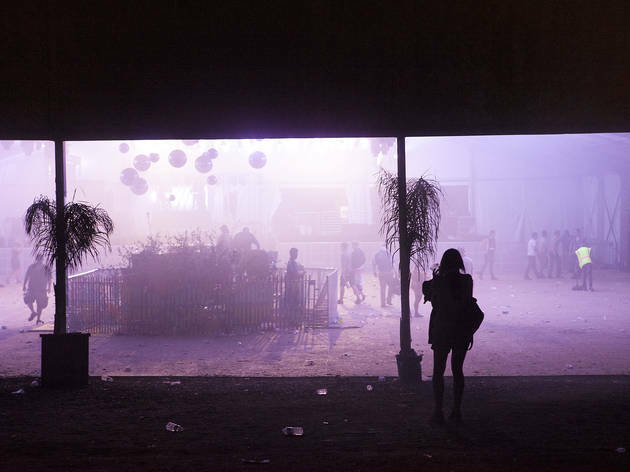 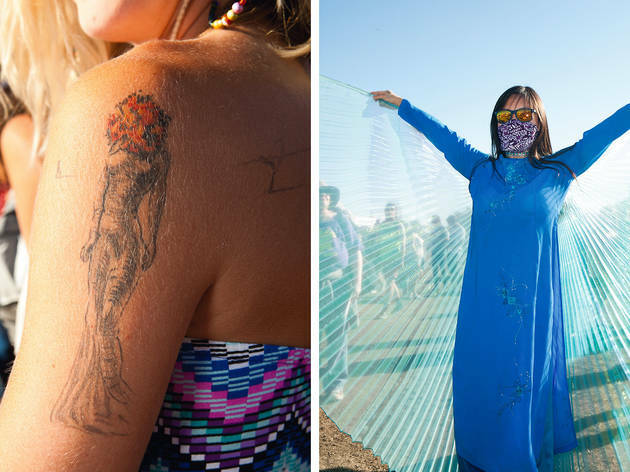 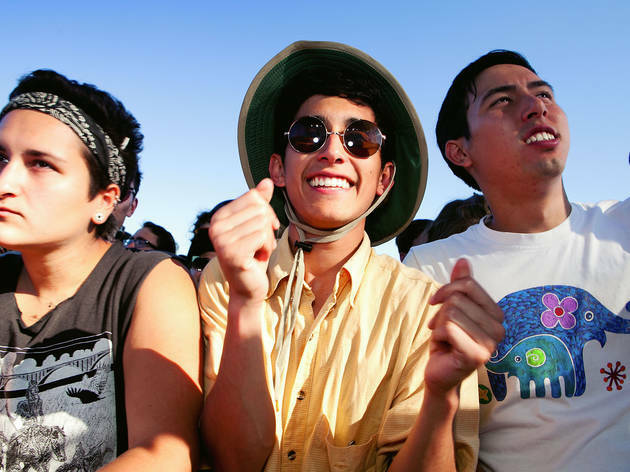 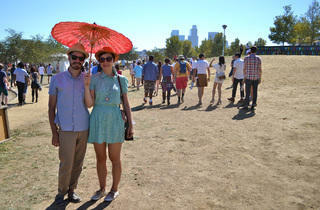 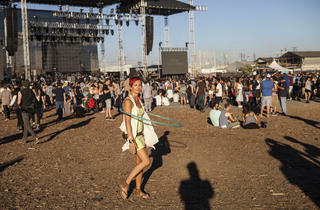 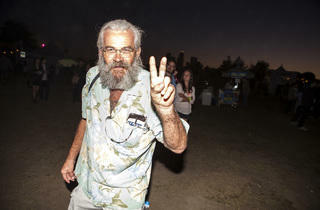 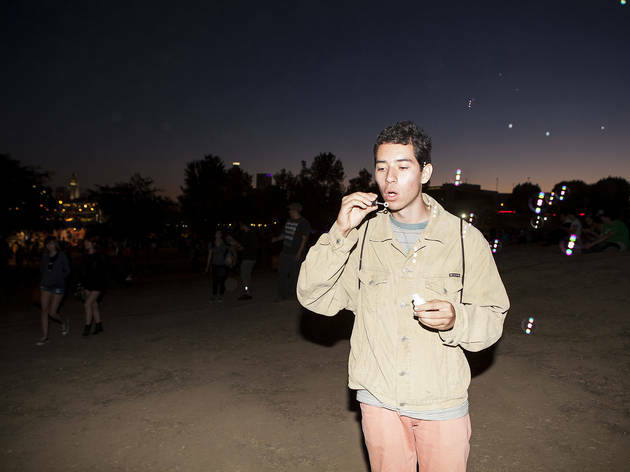 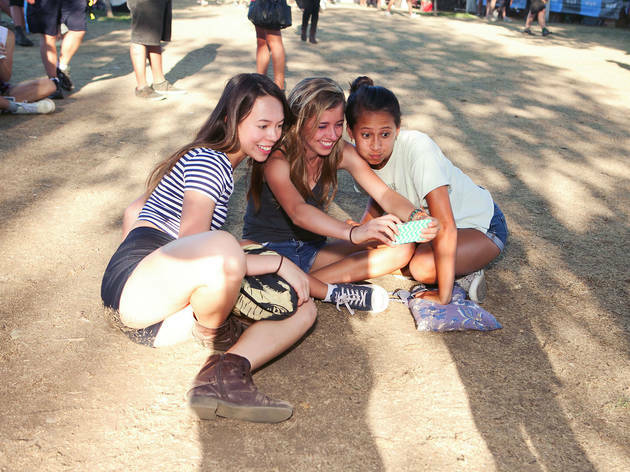 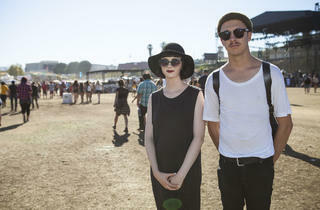 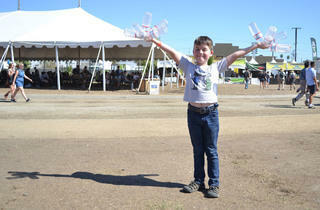 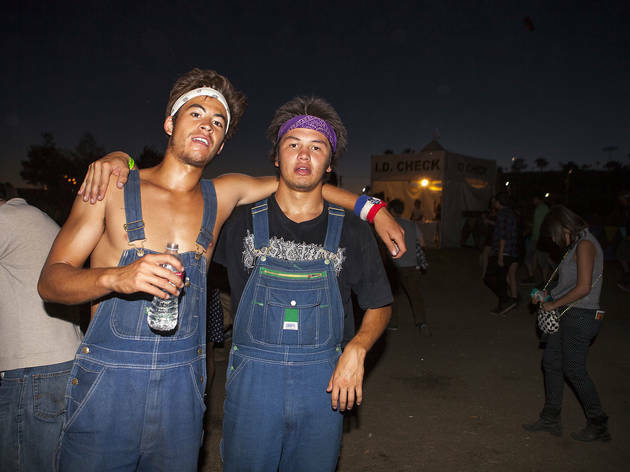 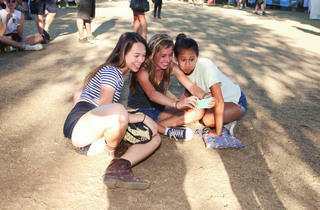 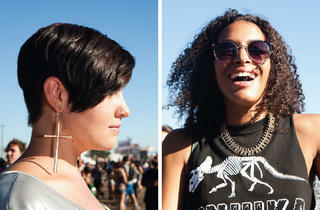 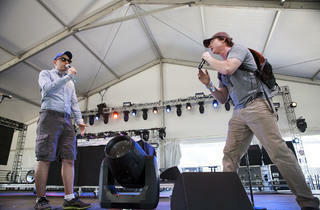 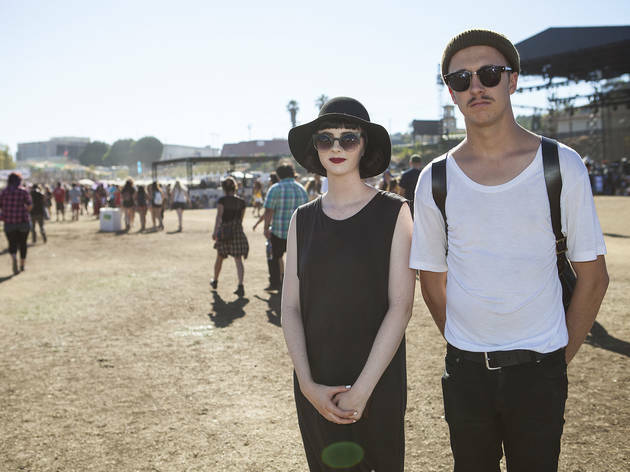 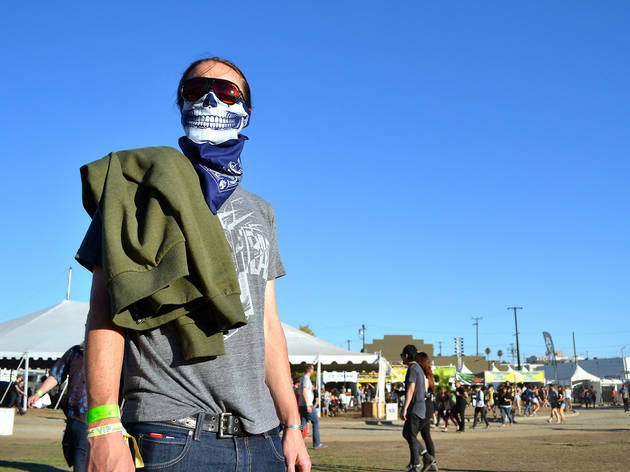 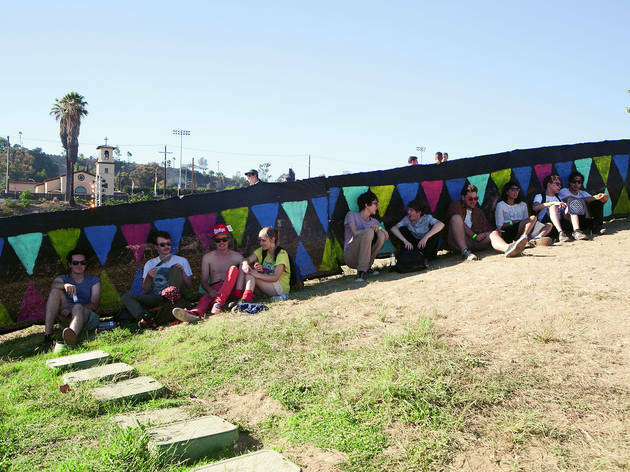 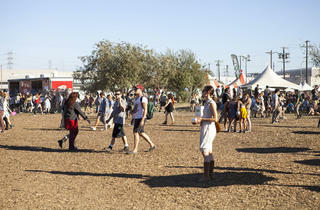 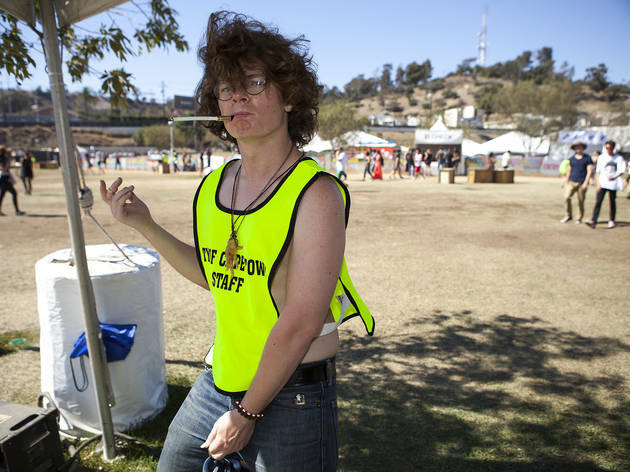 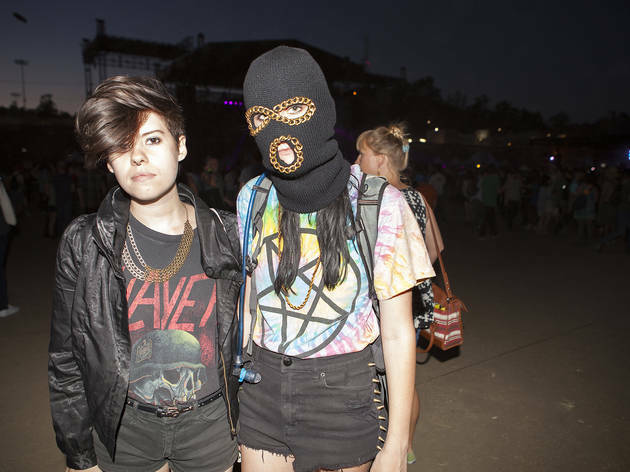 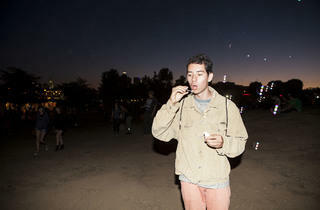 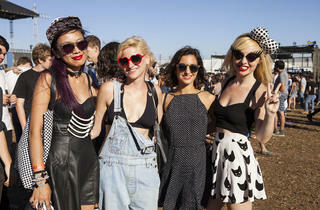 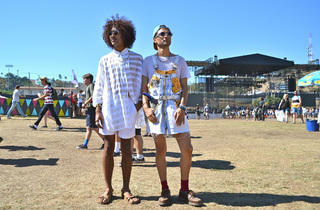 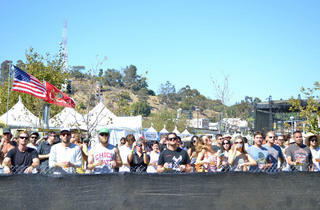 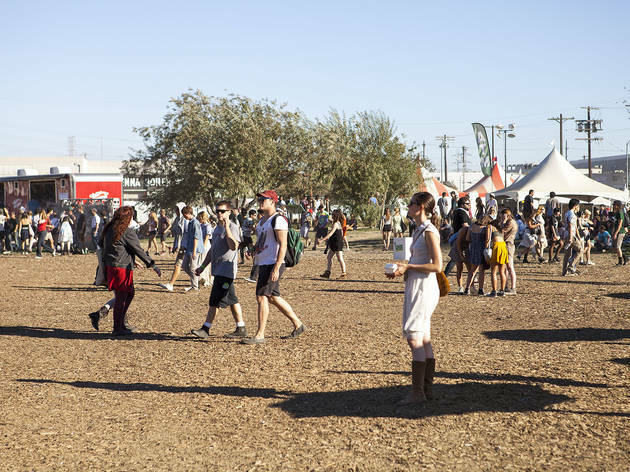 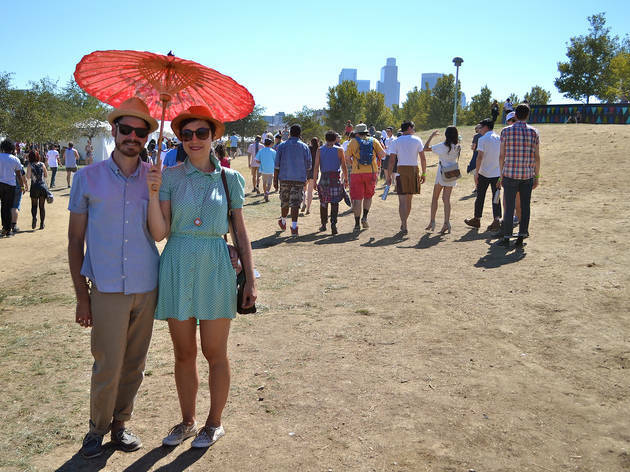 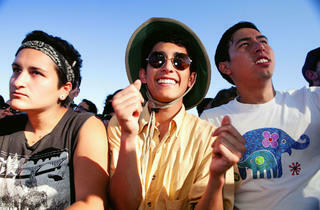 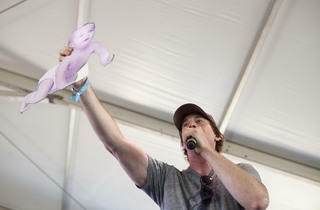 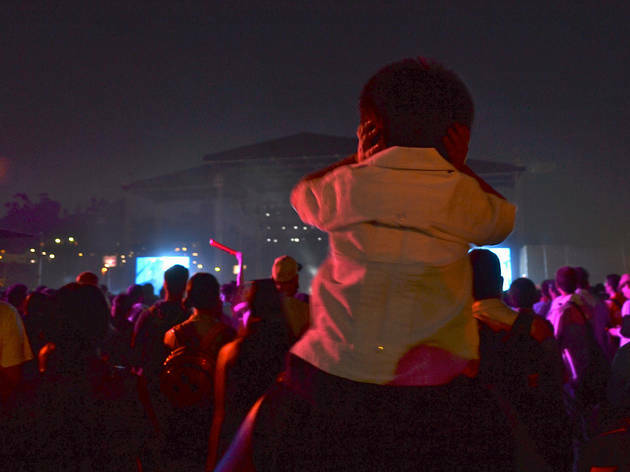 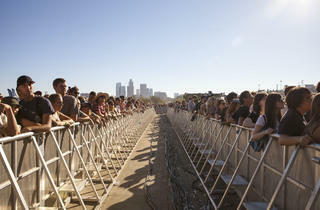 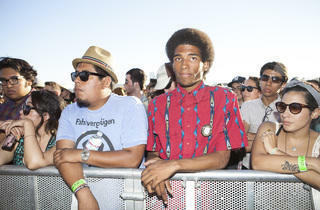 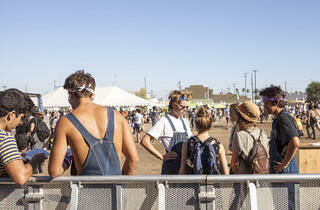 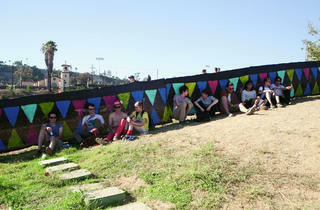 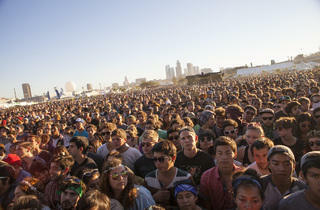 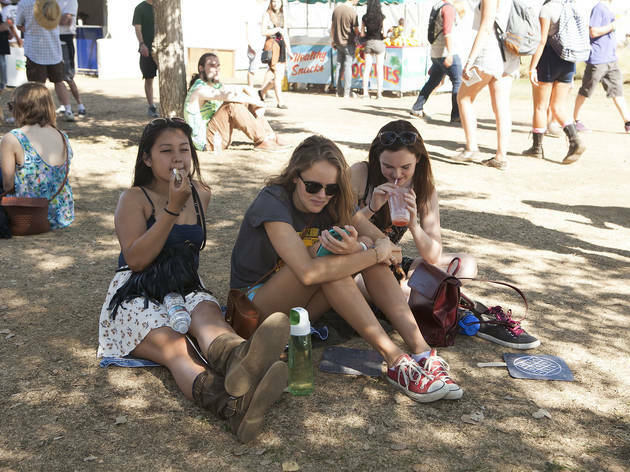 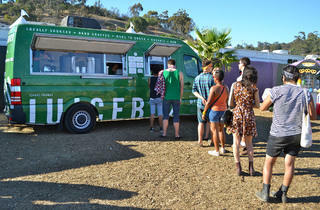 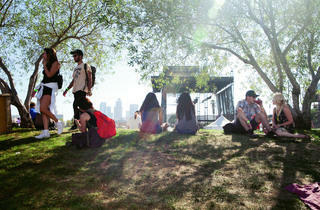 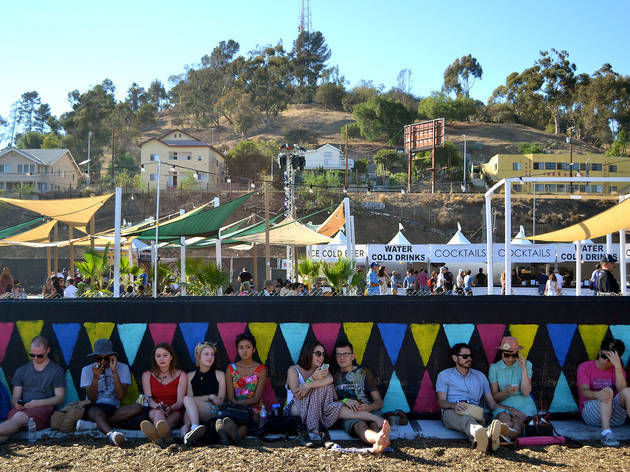 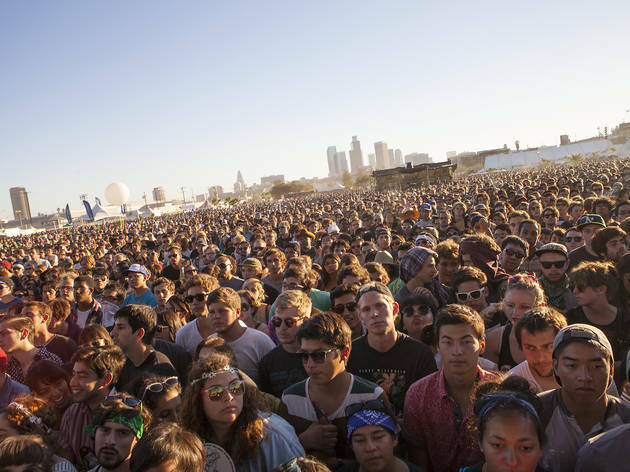 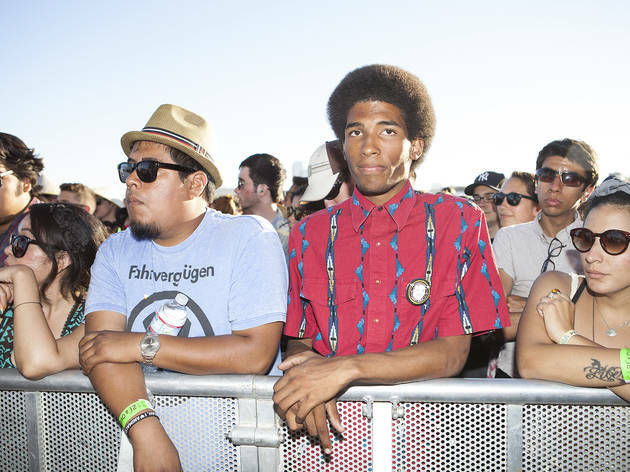 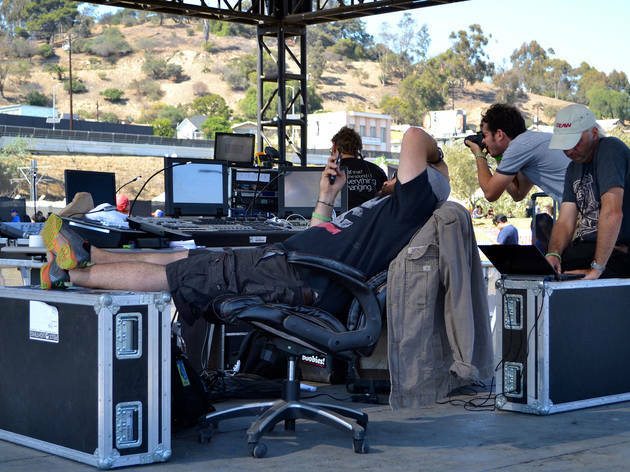 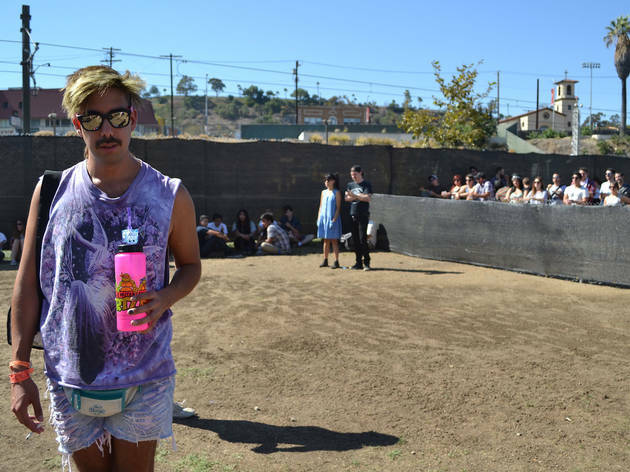 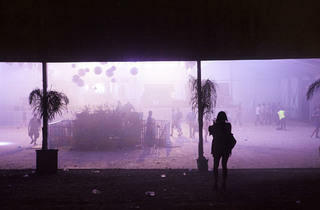 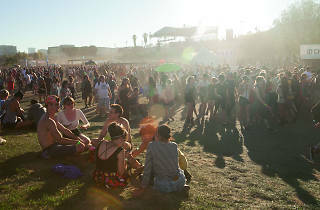 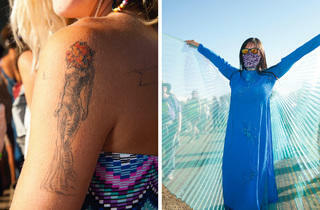 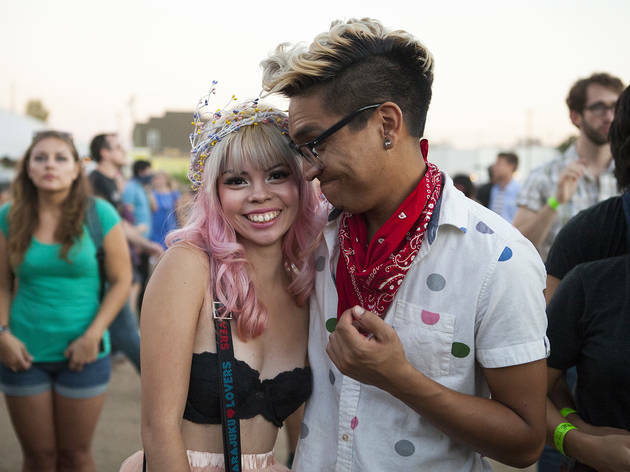 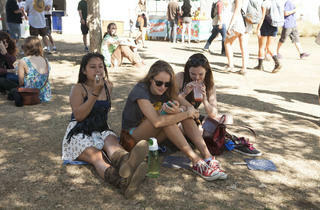 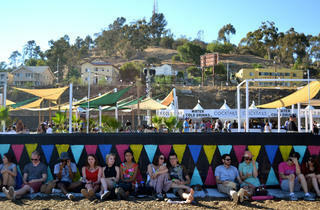 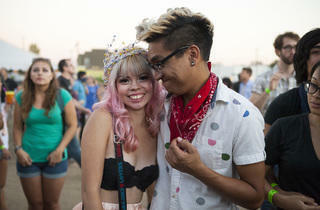 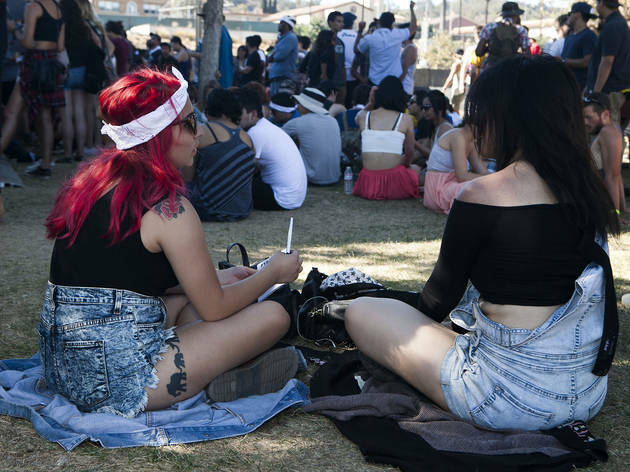 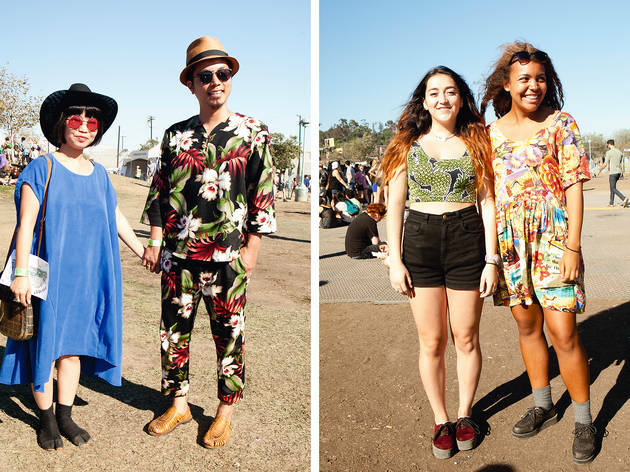 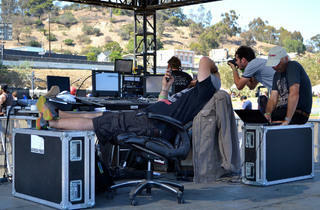 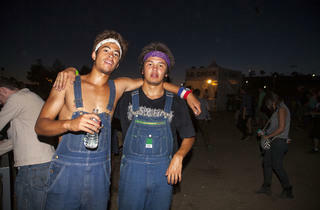 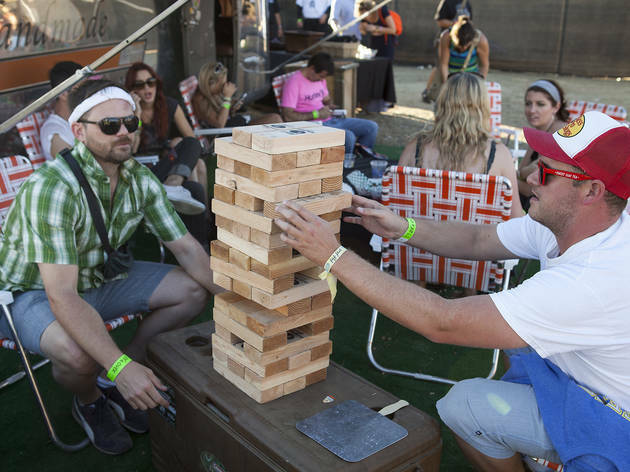 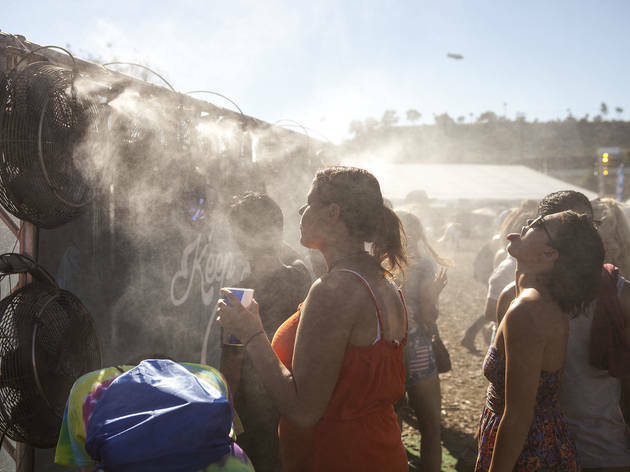 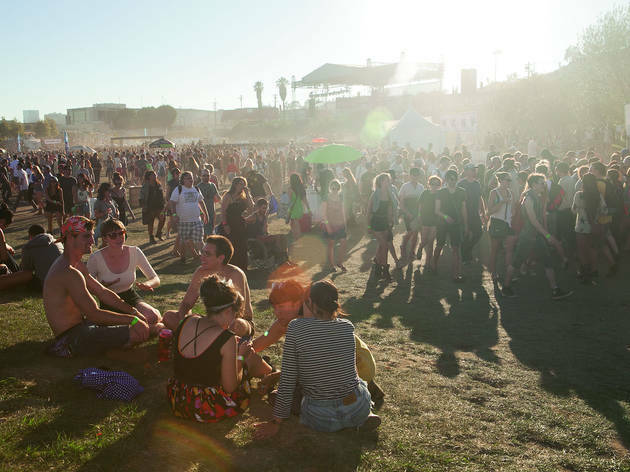 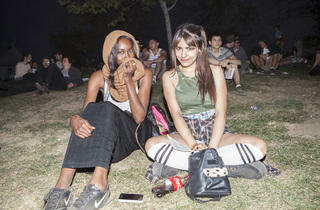 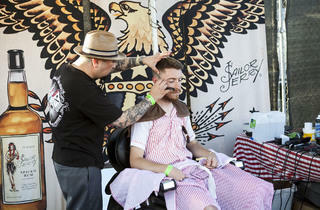 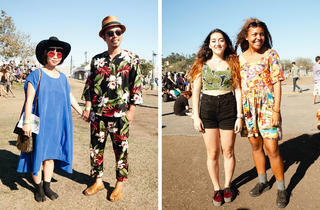 Check out TOLA's best crowd shots from Sunday at FYF 2013. 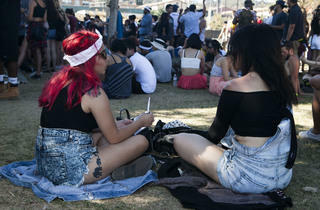 The crowd was bigger and a little more laid back on Sunday of FYF 2013, and through a hazy afternoon and balmy evening our people-watching continued. 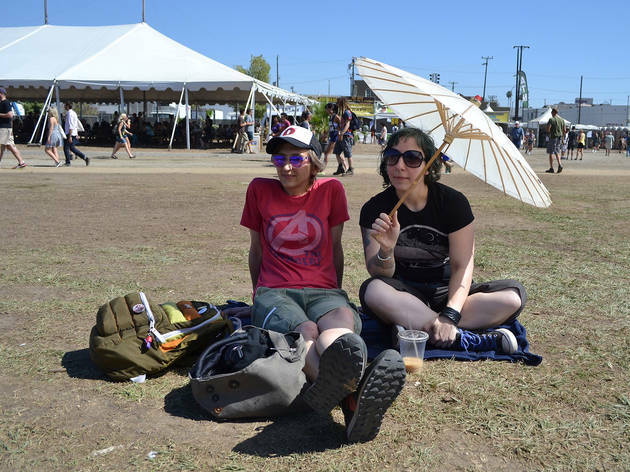 Bandanas and parasols were two accessories of choice (or necessity) to protect festival-goers from the dust and sun, both of which there was plenty. 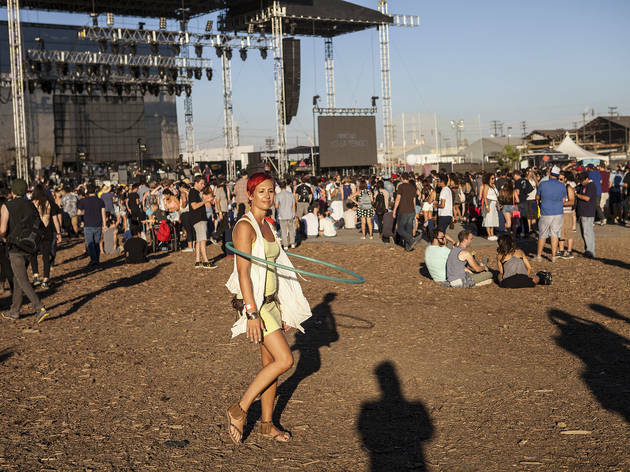 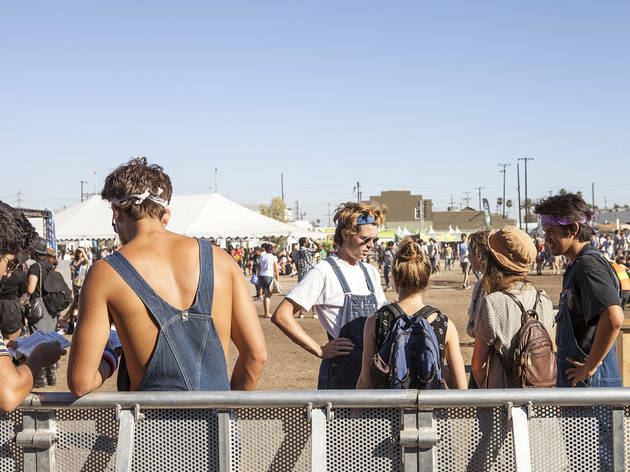 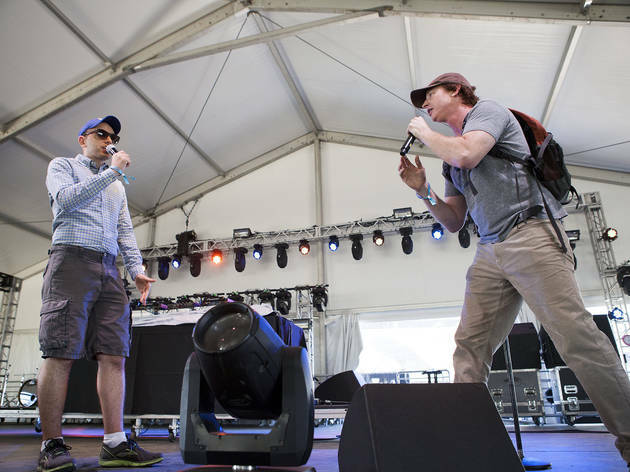 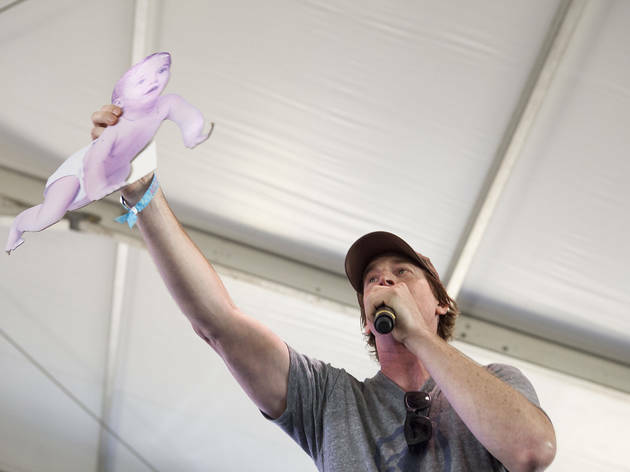 The crowd ranged from lackadaiscal nappers at Yo La Tengo and Beach House to amped up headbangers at Baroness and the Melvins, with a few in-betweeners frantically running from one end of the fest to the other to satisfy their diverse musical tastes. 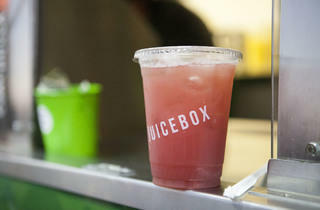 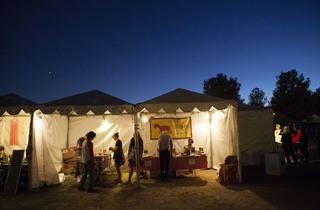 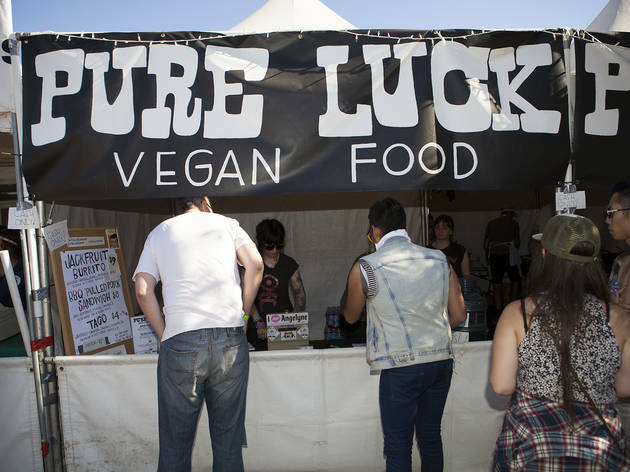 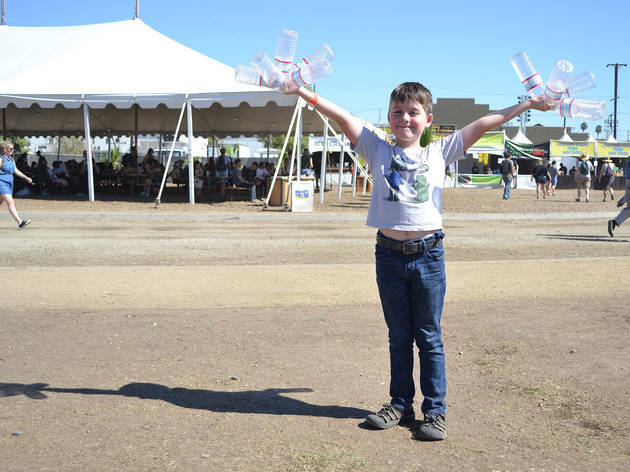 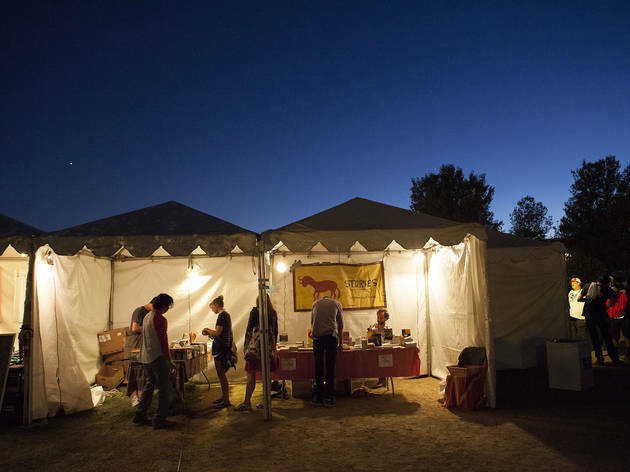 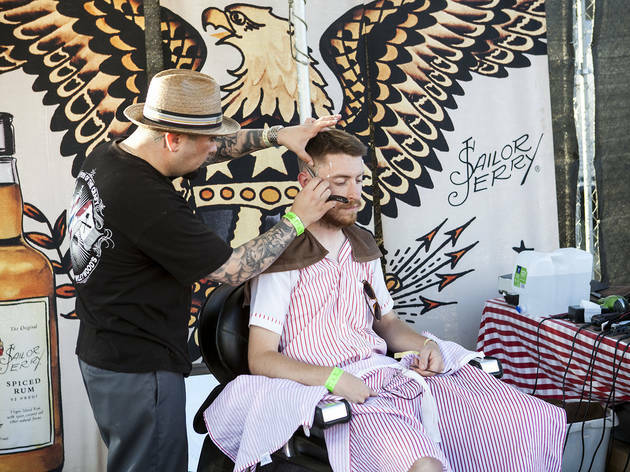 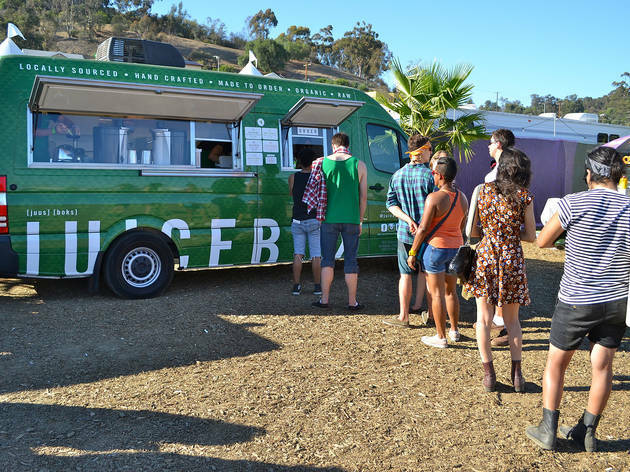 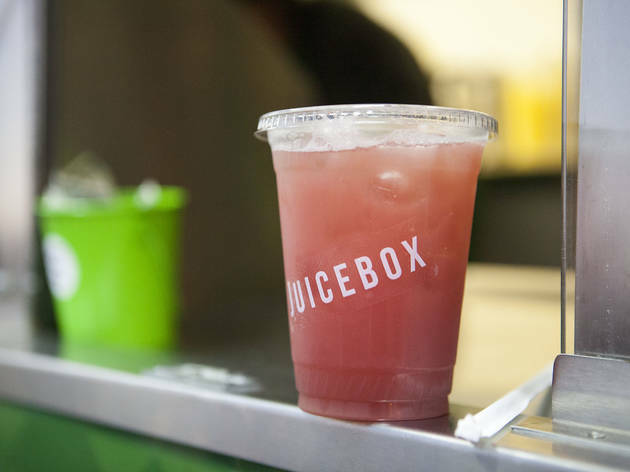 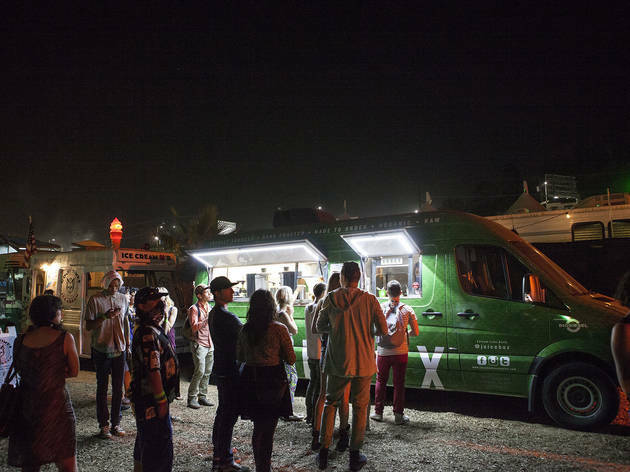 The craft tents and vendor village seemed a little lonely, but food stands did a killer business, especially the fresh juice gents of the Juicebox truck and the triumphant return of Pure Luck, the LA vegan food we love best and miss most. 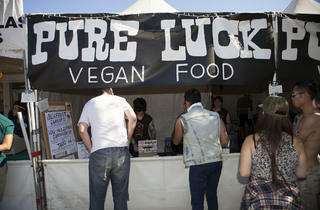 Mmm, jackfruit tacos.